The US Consulate in Chiang Mai has been a big supporter of Warm Heart’s Environmental Program going back to October 2015 when they funded our Breath of Fresh Air Grant. We are very pleased that the US Consulate recently announced they are going set up their own biochar program to handle their biomass waste. 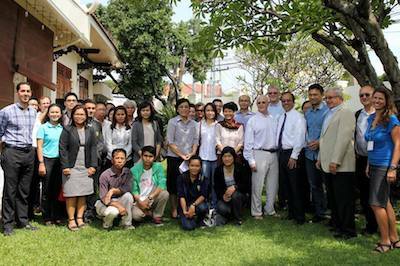 CityNews – The US Consulate General Chaing Mai has declared that it will go fully BioChar after a conference today with Michael Shafer from Warm Heart introducing the facts and theory behind the burning technique, followed by a demonstration to officials and a training program for the gardeners at the consulate.